Indian democracy is a rare feat achieved in the face of internal historical baggage and complex geopolitical dynamics. India’s constitution makers went fearlessly into a terrain that other democracies took years to explore. Universal adult franchise formed the pivot of social justice-driven egalitarian democracy. Despite a bitter legacy of Partition and rampant illiteracy, all Indians bar none were deemed an equal part of the electorate. Today, some questions are being raised on the integrity of the poll process under electronic voting machines (EVMs). It is important to take a trip down memory lane to remind ourselves of our rocky road to democracy. 1950s: India, a fledgling democracy, was dominated by the Congress, the party of Independence. Interestingly, ballot papers with name and party symbols were not used. Separate boxes were allotted for each candidate, where the voter dropped his or her vote. Even after so many Independence heroes being in the Congress, it got only about 45% votes in 1952 and 47% in the 1957 elections. If India had a Proportional Representation (PR) system rather than the First Past the Post (FPTP) system, we would have had coalition governments right from the start. The INC alliance was unlikely to go with the Communist Party of India, which was the second-largest party. There was the Swatantra Party, which had the largest set of freedom fighters after the Congress. The political contest was also largely an internal one: Nehru’s Fabian socialism versus free-market economics as propelled by the Swatantra Party. 1960s: A split verdict arose for the first time. Separate parties were chosen to represent at the state and national level. The China war and deaths of Nehru and Shastri brought Indira Gandhi to the fore. Alternative parties such as the JD, BJS, Communists and southern regional parties emerged and proved electorally viable. The Congress vote share was static at 45% in 1962 and the status quo precipitated the 1967 experiment of “anti-Congress” Opposition alignment. Subsequent verdicts toppled several Congress state governments. Though Indira Gandhi won the parliamentary elections, Congress votes dropped to 41% and below 300 seats for the first time. The free market propagating Swatantra Party under C Rajagopalachari became the main opposition party, displacing the Communists. This forced Mrs Gandhi to go for more aggressive socialist policies. 1970s: The 1971 elections witnessed the first ever split in the Congress party, with the old guards forming the Congress (O) under Morarji Desai. This split failed to dent Indira Gandhi’s Congress, which vacuumed the electoral capital of the Indian National Congress by polling 44% votes and 350+ seats. This decade marked the dismemberment of Pakistan, emergence of Indira Gandhi, increased influence of Soviet policies and Emergency imposition. The 1977 elections were a watershed moment in Indian electoral history. Emergency fused the entire Opposition into one giant snowball called Janata Party and the avalanche ensured the worst possible defeat of the Congress. 1980s: The collapsed Janata Party experiment brought Indira Gandhi back to power in 1980 with vote share and seat share almost identical to 1971. Insurgencies in Punjab, Kashmir, the Northeast and Sri Lanka gave a violent turn to politics. After the assassination of Indira Gandhi, the Congress swept the 1984 elections with 48% votes and 400+ seats in Parliament. 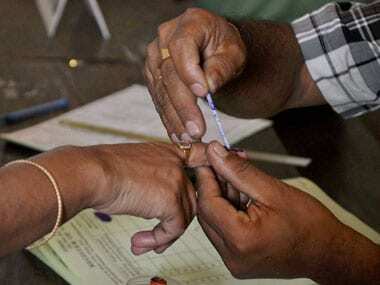 The BJP made a tepid debut of two seats, despite polling the second-highest vote share (7.4%). The Rajiv era began with an assassination and ended abruptly with a scandal. What began with Congress sweeps in 1980 and 1984 ended with the second non-Congress government at the Centre under VP Singh in 1989. The Janata Party experiment was repeated (minus the BJP though) as Janata Dal, and Congress for the second time went below 200 seats. The BJP finally got its due prominence, winning 85 seats. 1990s: Consolidation of nationalist and Right-wing parties began. The PV Narasimha Rao government, with Manmohan Singh as finance minister, liberalised India under IMF diktat. The 1991 polls saw the tragic assassination of Rajiv Gandhi during the election campaign. The Congress became the single-largest party but had to run a minority government. 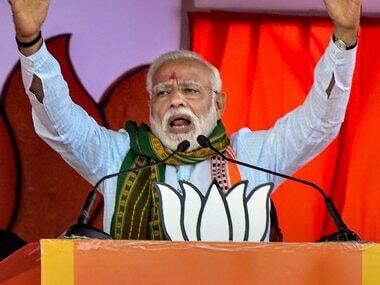 The emergence of BJP as the single-largest party in terms of seats in 1996 and ascension to power in 1998 after forming a 13-day government two years earlier heralded the era of coalitions. Pokhran and Kargil solidified the party’s credentials. The 1999 elections witnessed the first BJP-led NDA government with full majority. It also became the first ever non-Congress government to complete a five-year term. 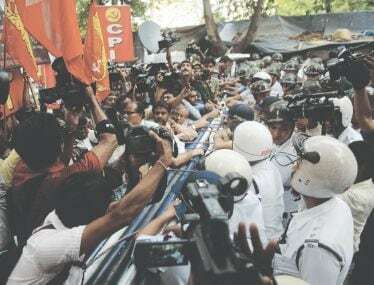 2000s: The 2004 shock defeat of the BJP saw the advent of Congress-led coalitions. The UPA won again in 2009 on the back of redistributive policies and high growth rate. This decade saw the country deal with multiple terror attacks and wildly swing between two poles of politics. The crushing defeat of the NDA’s India Shining campaign exposed grassroots realities and this impelled the UPA to design Robin Hood Socialism. 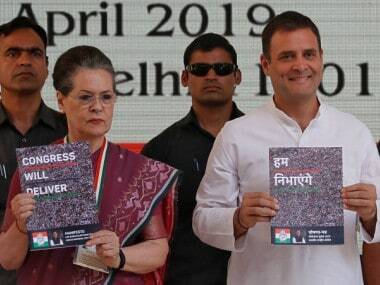 2010s: However, the Congress rule between 2004 and 2014 also ushered in trademark corruption that comes along with TINA (There Is No Alternative) factor as well as coalition pressures. This unrest along with the rise of Narendra Modi as a Hindutva mascot gave India its first single-party majority government after 1984. The Congress was reduced to its lowest-ever tally of 44 seats in 2014 while the BJP marked its highest at 282 seats. In terms of campaigning, the political messaging has come a long way: from national and state parties being granted time on State-held Doordarshan and Akashvani to the purported use of artificial intelligence. From 1984 on, we saw the first glimpse of the electronic era: right from prototyping of the first electronic voting machines to election coverage by pollsters and TV media. The 1990s saw the explosion of electronic and print media. The competitive state of national politics was well reflected in a bloom of multiple voices. The influence of the mainstream media peaked in 2009. Post that, allegations of being partisan brought in the era of social media, initially dominated by BJP supporters but now a more even match. The near future may see a progression to augmented reality media and more. Finally, a word on the Election Commission of India. 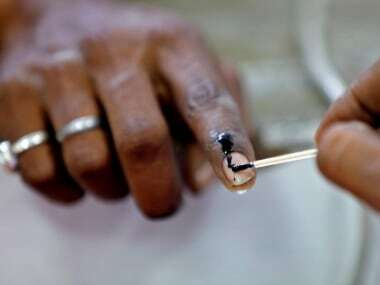 Since its inception, the poll panel has organised the largest election in the world with the 2014 round involving more than 800 million voters. The ECI came into its own in the TN Seshan era and since then elections have become freer, fairer and more anti-incumbent. Here is to another historic election and verdict in the 2019 polls. Cheers!